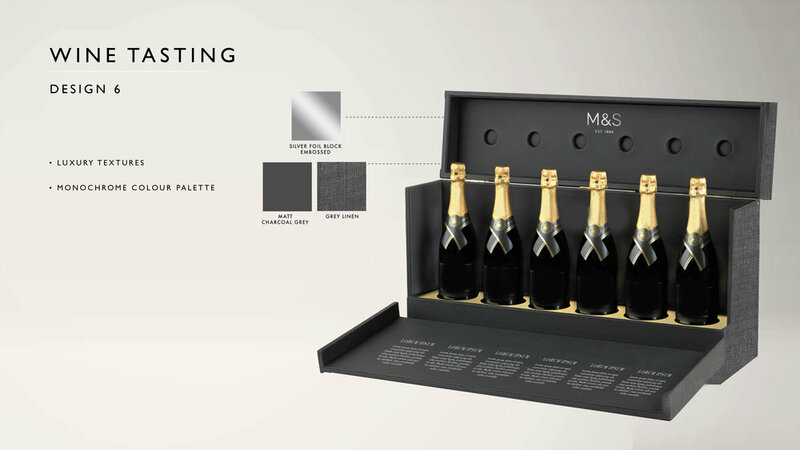 Working with Marks & Spencers to create a selection of luxury gift boxes that would stretch across multiple occasions. 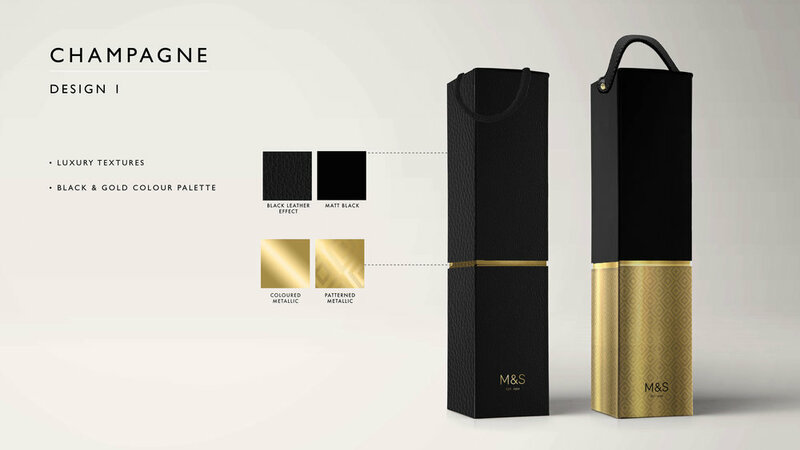 A quick week long project working with the M&S team to come up with some new gift boxes and packaging. Each design was created for multiple occasions using luxe texture and colour combinations to help inspire the manufacturers. Above are some of the few designs that have launched this year. Below are the original designs that were sent across – designed on photoshop. Watch this space..... there are more to come!